Latest study from Liquidnet suggests a shift in sell-side relationships is threatening defacto RFQ model. The latest report from Liquidnet’s The New Execution Champions series revealed a noticeable shift in the buy-side’s approach to voice trading and RFQ, as firms aim to create a fully segregated dealing desk with full control over best execution. Rebecca Healey, head of market structure and strategy for Europe at Liquidnet and author of the report, told The TRADE a growing number of respondents are questioning if RFQ is the right model. “The buy side is now routing more flow electronically in order to manage their workflow process more effectively. By pushing certain trades down the pipes, this frees up the buy-side dealing desk take ownership of more difficult trades This is leading to debates around whether RFQ trading is still an optimal route for bond activity,” Healey said. One large European buy-side firm stated it will be moving away from RFQ completely and will shift towards all-to-all models such as Neptune, Liquidnet, Tradeweb and MarketAxess. 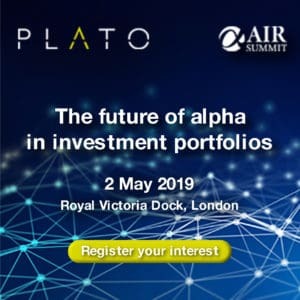 The asset manager added that those platforms provide more sophisticated services and the dominance of RFQ will eventually fade away completely, as it is too much of ‘blunt tool’. Similarly, another medium-sized buy-side firm stated it is now trading more technically and less with voice because of constraints on the sell-side, and the fact there are now less experienced sales traders, a possible result of an ongoing trend of prominent sell-side traders decamping to the buy side. Healey explained some respondents are also looking to optimise their liquidity options, rather than trading to a minimum number of RFQ responses. “Just using a model that says this order is large-in-scale and therefore I need to RFQ for four creates information leakage and it limits traders to a handful of trusted relationships,” she said. Best execution and unbundling under MiFID II will dramatically shift the role of sell-side counterparties and with this already taking shape in the equities world, Liquidnet’s report suggests fixed income is slowly but surely following suit. Best execution requirements were introduced under the original MiFID regulation, requiring investment services firms to “take all reasonable steps to obtain the best possible result in the execution of an order for a client,” based on price, cost, speed, likelihood of execution and likelihood of settlement. Under MiFID II, the wording of the requirements has been altered from “reasonable steps” to “sufficient steps,” a change that originally caused concern among market participants due to its lack of specificity. “In equities, the buy side has historically “owned” best execution to a far greater extent. We are now starting to see the buy side in fixed income challenge who their counterparties should be and the entire process around selecting venues and where to execute,” Healey added. Historically in fixed income there has been an element of ‘three quotes and you’re done’ but Healey highlighted that best execution is not just about getting the best price. Instead, traders must build up a better knowledge of the available liquidity and likelihood of execution without exposing trading intentions. 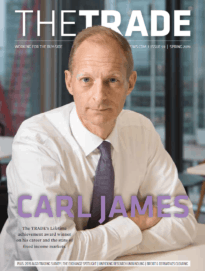 “Asset management firms will need to realise the role a buy-side trader plays in delivering successful implementation of investment strategies. This has never been more critical in the competitive landscape firms now find themselves in,” the report concluded.